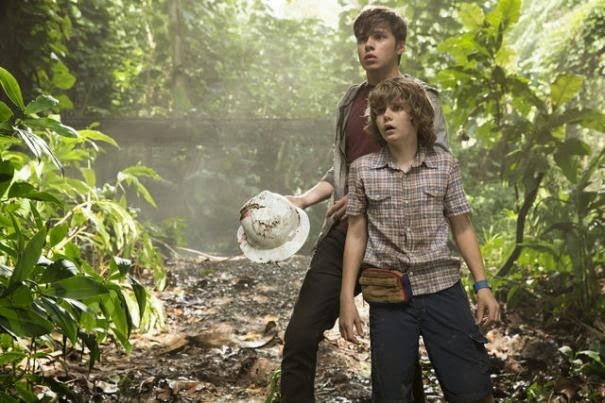 Here's my breakdown of the Jurassic World Trailer. There's going to be kids and they are going to be back in jeopardy. The funny Mummy dishes out some sage advice to teen Zach and that kid from Iron Man 3 who is playing what I assume is Zach's younger brother Gray. It seems that tourists are now heading to Isla Nublar by the boatload and the tour now includes driving, canoeing and strange bubble vehicle looking things to get right up close and personal with a range of dinosaurs. There is also the nice nod to executive producer Steven Spielberg's past form with predators of the sea as one of the big attractions on the island seems to be feeding time of the huge underwater creatures lurking in the depths and chomping on sharks. That's quite a splash! 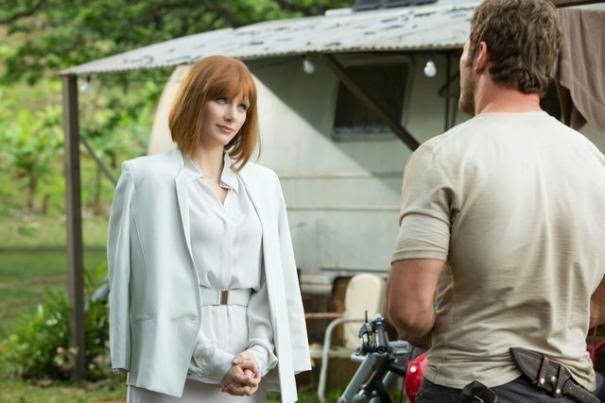 Bryce Dallas Howard is doing the silly scientist bit by playing God and genetically modifying dinosaurs. She's not just making them all female or anything like that. This time, they are really messing with nature and making all new hybrid dinosaurs. Chris Pratt is the down to Earth voice of reason suggesting that cooking up dinosaurs probably wasn't the best idea in the world. He's quickly proved right as the markings on the wall suggest something has broken free. It's a bit of a shame really as I could quite happily spend two hours watching this functioning futuristic theme park at work and not need everybody to start getting ripped up by rampaging dinos. Everything from helmets to those bubble vehicles suddenly seems to be getting smashed and then there's a lot of talk about how 'she' will kill anything that moves. I guess they aren't talking about Bryce Dallas Howard. 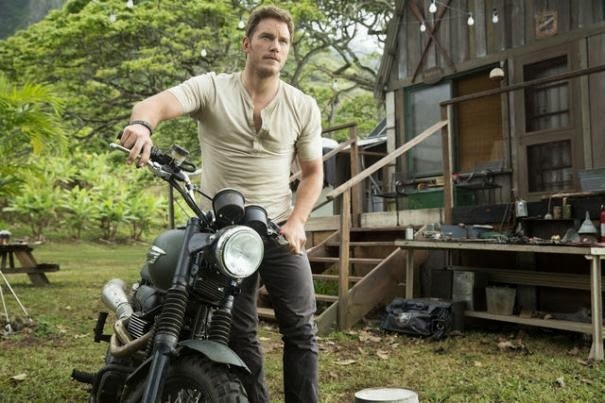 Chris Pratt is running from big dino feet and calling for the island to be evacuated but hopefully it's all too late and mayhem ensues as those kids from the start of the trailer (and everyone else) start running for their lives and Pratt rides a motorbike through a herd of what look like they could be nasty velociraptors. Game on! Annoyingly, there is still no sign of Jake Johnson. He is still in the film isn't he? What do you think of the trailer? Notice anything beyond my obvious breakdown here?